Thames Valley Police are investigating ANOTHER report of illegal fox hunting, this time in Long Crendon. TVP received reports of fox hunting yesterday (14/1) and are currently investigating the incident. 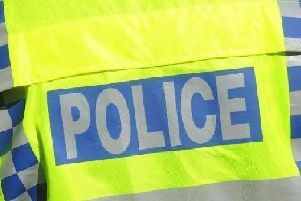 Writing to their Facebook page, Thames Valley Police said: "Thames Valley Police have today (14/1) received a number of reports regarding fox hunting in and around the Long Crendon area. "Our dedicated Wildlife Officer has details of today’s findings and will be making the relevant enquires to ensure there was and is no longer any illegal activity taking place." This investigation follows a current line of enquiry they are perusing into the Kimblewick Hunt, whom saboteurs claim they caught 'red-handed' breaking the law on their New Years Day Hunt. "Our dedicated Wildlife Officer has details of today’s findings and will be making the relevant enquires to ensure there was and is no longer any illegal activity taking place. This is not the first time fox hunting has been in local news. Last year we covered an incident where hunt dogs burst through gardens in Watermead, chasing a fox. Fox hunting is illegal in England, Scotland and Wales. The law regarding fox hunting is covered under the Hunting Act 2004. Following a law change implemented February 2005 fox hunting became illegal. Hunters in England and Wales have since developed the sport of ‘trail’ hunting after the fox hunting ban. Trail hunting is a non-lethal sport where the hunt follows a pre-laid trail using scent rather than searching for, chasing after and the killing of a wild fox. A hunt will consist of a number of horses and hounds. A spokesperson for the Countryside Alliance commented: “There have been just 24 convictions under the Hunting Act 2004 relating to registered hunts since the Act was enforced in February 2005, this is despite more than a quarter of a million days hunting performed by over 250 hunts. "Obtain as much detail as possible, if the hunt is on your land ask to speak to someone in charge, obtain their details and pass them onto us. "These details should include the numbers of people, horses and hounds involved. "Where the hunt started and is going to end, if the hunters are part of a club, if any foxes have been caught by the hounds and most importantly whether it is a drag hunt or trail hunt. "Always report a hunt online, via 101 or use 999 if you feel appropriate at the time. It’s more than likely we have been made aware about the hunt already by the organisers but it’s always ok to call us anyway. "In Aylesbury Vale we have a working relationship with the “master of hounds” who’s responsibility it is to take charge of the hounds and ensure there is no unlawful execution of foxes."